This post is a review of CoinATMRadar, a website that compares more then 3500 ATMs worldwide. Bitcoin ATMs are now installed all around the world, most of them in the United States (2233 ATMs), Canada (658 ATMs), Austria (228 ATMs) and United Kingdom (202 ATMs). A Bitcoin ATM (automatic teller machine) is a kiosk that allows the exchange of Bitcoin or Alts for cash. Here you can read more about Bitcoin ATMs . The ATMs on CoinATMRadar are displaid on a map, Each one with its own features. You can get a lot of info besides the ATM location: working hours, cryptocurrencies supported, fees and more. When going to VIEW LISTING you can get the full profile: operator details, phone and email, machine details and ATM Type, Supported coins Fees, Limits and more. You can also go to the complete list of Bitcoin ATMs by Country. 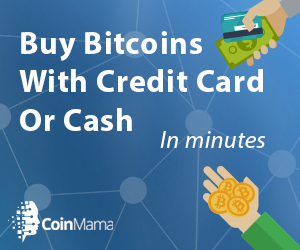 And also look for a Bitcoin ATM near you under main menu>more>find Bitcoin ATM. Then Search for bitcoin ATM by City name or full address. Coin ATM Radar also has a free Android and iPhone App that features a Bitcoin ATM map and ATM machines closest to you and ATM fees and limits. The application is updated regularly with new locations. You can install the Android app from Google Play here. If you are a business that wants to host a Bitcoin ATM, or if you already host an ATM and want to add it to Coinatmradar, then all you have to do is fill a short form on the site. You will need to supply your business identity and general info and also your location. If you have any questions or suggestions, you can contact CoinATMRadar support team using a Contact Form or by email.